Also known as love grass, Abyssinian love grass, or scientifically as Erogrostis tef, teff grass is an annual bunchgrass native to the central highlands of Ethiopia and Eritrea. Its high nutritional value and reliable cultivation have made it the most important grain crop in Ethiopia, where it is the main ingredient of injera, the country's national food. Teff grass is gluten-free. As a result, celiac patients and other gluten-sensitive individuals will find this nutritious and highly adaptable grain to be a delightful alternative to wheat, barley, or rye. As a nutritional heavyweight, teff grass is gaining attention not only among the gluten-intolerant, but also health food enthusiasts, athletes and baby food manufacturers. Brown teff commonly used as porridge. White Teff: This is the most expensive and most preferred type of teff, and is the variety of choice for making injera. White teff has a pleasant, mild chestnut flavor, and is considered a status symbol in Ethiopia. Brown Teff: With a slightly stronger flavour than white teff, more like hazelnut than chestnut, brown teff is the variety most commonly used as breakfast porridge and occasionally in the brewing of alcoholic beverages. 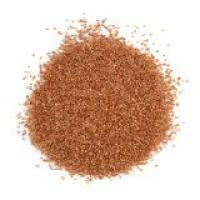 Red Teff: The least preferred and most affordable variety, red teff is known for its high iron content and associated prevention of anemia. Despite the cultural and economic importance of teff in Ethiopia, it is still not widely cultivated elsewhere. Teff makes up about 25% of Ethiopia's cereal crops, but African countries such as Yemen, Kenya and Malawi, despite having similar nutritional and agricultural profiles, cultivate the grain only on a limited basis (Lost Crops of Africa, National Academies Press 1996.) Similarly, teff has long been cultivated in India and Australia, but chiefly as fodder for livestock. According to Asia Food Journal, teff has become a noteworthy crop in The Netherlands both as a wheat substitute and as a nutritional supplement. At least one company is currently manufacturing teff-based sports supplements such as performance bars and energy gels. While most teff cultivation in the United States has focused on animal fodder, some small companies have capitalized on niche market possibilities. 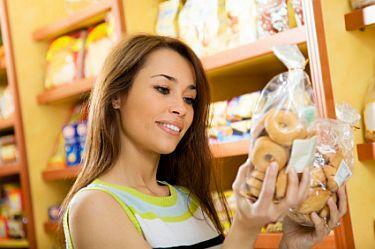 Demand for teff as a nutritious, palatable wheat substitute is growing. As awareness of gluten sensitivity and related health issues increases, gluten-sensitive and health-conscious individuals are exploring the possibilities of alternative grains. A 2008 University of Nevada study concluded that, with seven distributors of teff flour and six teff product brands identified in the United States, the conditions for market growth were favorable. It appears that teff grass is primed to enter the mainstream. Currently, teff is still a fringe market. Many health food stores, ethnic markets, and specialty sections of large grocers carry teff seed, flour, or packaged goods, but these products can be hard to find in smaller communities. If teff is not available to you locally, order online from Bob's Red Mill or The Teff Company.